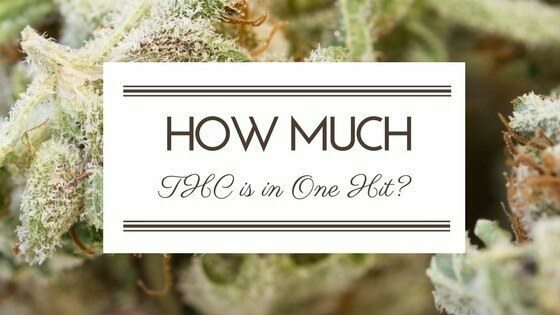 There’s no simple and concise answer as to how much THC is in one hit of cannabis. The cannabis itself can differ by strain and strains differ from batch to batch. The method used to consume your cannabis can also have a HUGE impact on how much THC actually gets into your system. Lung capacity and personal preference change how much cannabis smoke or vapor is taken in per toke. 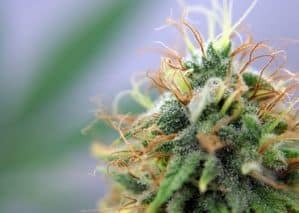 While it may not be possible to give quick answers on the potency of a single hit, there are ways to estimate how much THC you are getting per hit. The potency of the cannabis that you use is the starting point for determining how much THC is in a hit. Most of the studies that relate to cannabis consumption, and the levels of THC that result in the bloodstream, were done with extremely low-grade marijuana that had a maximum THC content of 3%. Current strains can have THC levels as high as 27%, so you have to begin your estimation by knowing the percentage of THC you are working with. The potency of your weed is not the only consideration when calculating THC per hit. Before you can access the THC in the raw plant, it has to be converted to a usable form. In the raw plant form, THC is mostly non-psychoactive as it’s in the form tetrahydrocannabinolic acid (THCA). 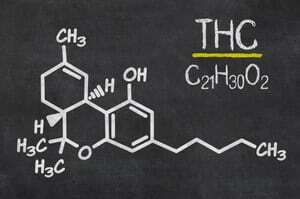 It’s the THC you know and love but with a carboxylic group of atoms attached. For the THCA to be converted into THC that can be absorbed into your bloodstream, it has to go through a process called decarboxylation. When cannabis is heated the pesky carboxylic group of atoms is released as CO2; the THCA becomes THC that can then be absorbed by your body. The decarboxylation, however, is a sloppy transfer process from THCA to THC. 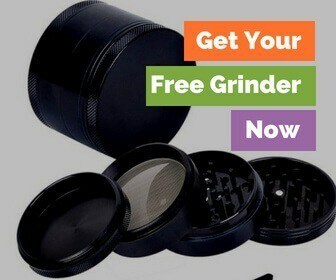 And there can be significant losses depending on the method of THC extraction that you choose. Let's say you have one gram of excellent cannabis that has a 20% THC content. That gram of weed would contain 200 mg of THC. The method you choose to consume the cannabis will have a major effect on how much of its THC content you will get. Some of your THC will be lost when smoking, either in sidestream smoke or burnt up and trapped in the ash. Sidestream smoke, smoke lost between puffs, can account for a loss of 40-50% of total THC depending on the smoking method. There can be more loss when smoking a joint because so much sidestream smoke is produced in between hits. A study confirms that the most efficient way to convert the THC in the raw bud to a usable form is through vaporizing it using a device like the Volcano Vaporizer. More THC is extracted by the vaporizer, and fewer by-products are present in the vapor. How Much THC am I Actually Getting? Looking at the earlier example of a gram of cannabis that contains 200 mg of THCA, if it's rolled into a joint, you have to assume a higher loss of THC. Looking at the numbers, 60 mg could simply burn up, and 100 mg could be lost to side smoke, leaving only 40 mg to be inhaled in the mainstream smoke from the entire joint. Using the vaporizer would lead to a 20% increase in THC yield. So after decarboxylation, you theoretically would have harvested 80 mg from the same gram of weed. Studies were done using low-grade cannabis, only 3.55% THC, resulted in 14.25 ng/ml in the bloodstream from a single five second, 30 ml puff from a joint. Assuming that math holds true when using higher THC levels, that would mean the 20% THC cannabis would raise your blood THC levels by roughly 81.42 ng/ml for every hit you took, but this would be blood levels and not milligrams per hit. Once you have a rough estimate of how many milligrams of THC you’re harvesting from the raw cannabis, the last piece of information needed to calculate how much THC you get from a single hit is the amount of cannabis you can consume in a single hit. You would need to count how many grams, and then divide the available milligrams of THC by that number. Someone who prefers to take a higher number of short puffs will consume less per hit than someone who prefers longer, bigger hits, no matter the type of consumption. So, if you sit down and run the math, you should be able to find out with reasonable accuracy how much THC is in one hit. If you run this experiment at home, we’d love to hear about it. Tell us you numbers in the comments below!